A fine thing: suddenly to forget about one’s history, one’s past, to stop feeling that one’s present happiness is endangered by what one used to be, as a child, as an adolescent, etc. That is to say, forget the novelization of life. A special peril for literary types, those invested in the novel as a form, whose mental architecture has been rebuilt in the shape of that genre. So what instead? Do one thing after another as lucidly as possible: smell the bread, smell the schnapps, fold the paper – therein lies salvation. These are the opposite of Joyce’s epiphanies. Can you feel the tension in this one despite the tiny form? The turn in regard? The pivot in his consideration across the and now? Massive changes are afoot chez AWP, and AWP is looking at books, such as Handke’s, for advice on how to manage it. And I don’t mean the blog. You should hear the kitchen table conversations. Lord. Handke is coming with on the big trip, despite the fact there are Other Things To Do. Just heard back from my favorite secretary at the place where I did my Ph.D. No party this year at MLA “due to recent budgetary modifications.” Yeeouch. Was always my favorite part of the whole thing. And if they’re feeling it badly enough at that place to do things like that, fin du monde elsewhere folks. Universities will have to make severe cuts after Lord Mandelson abruptly slashed teaching budgets by millions of pounds yesterday. Departments are expected to close, degree courses will be scrapped and students will have to pay higher fees. The Business Secretary said that universities should move from the three-year, full-time undergraduate degree model towards a “wider variety of provision”, such as foundation and fast-track degrees. They will be encouraged to focus more on the skills and knowledge demanded by employers rather than on academia for its own sake. Those that disobeyed the Government by taking on too many students this autumn will be penalised in next year’s grants at a rate of £3,700 per extra full-time student. It’s not even the standard story about privatization that Mark is ultimately telling here, though it’s a related story. 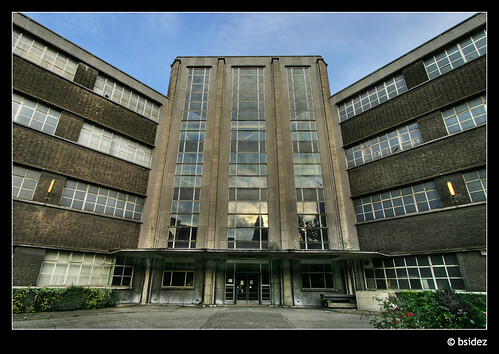 Rather, Capitalist Realism is ultimately focused on something else – the ways that public institutions that haven’t and likely won’t be privatized have been forced (have been forced to) to participate in simulated markets, where a rigorous regime of testing on a set of metrics replaces the invisible hand of the market. It’s a governmental gambit driven at once by a desire to reduce funding across the board and to convince voters that they are taking the efficacy of public institutions very seriously. Since it couldn’t / can’t actually expose some public institutions to market forces through opening competition or privatization, New Labour established (and continues to establish) pseudo-markets, fake market-like games, for public institutions to compete in in order to obtain funding. The Research Assessment Exercise (now, the Research Excellence Framework) is the face of this that I’m most familiar with, as it’s the pseudo-market in place for higher education in the UK. The short version of the process is that academic departments collect and submit “research inputs” from their staff – three or four “inputs” from each lecturer including essays, books, editions or whatever the equivalents are discipline to discipline. These will be assessed according to a variety of metrics by a board, who will rate the inputs and, when the results are aggregated, departments as wholes. Funding will be distributed (according to a complex formula) to universities based on the results. Entities like the NHS have their own versions of this sort of exercise. And further, it’s easy to see how the dominance of Cognitive Behavioral Therapy in the NHS’s mental health provision has everything to do with its cost-effective and goal-oriented nature. Having benchmarks and metrics to measure the effectiveness isn’t, to my mind, a strictly bad thing in principle. It’s not a terrible idea for state-funded agencies to be required to demonstrate that they are in fact working correctly. The oldest problem of socialist economic organization is how to provoke productivity and promote efficiency once work has been shielded from the imperatives of the market. But on the other hand, while the rules of market participation are quite clear cut (make a lot of money, one way or another), the very pseudo-ness of this sort of exercise allows the bureaucrats and politicians involved in its development wide latitude to accomplish nefarious ends – and to accomplish them with all of the trappings of semi-scientism and “definitive” league tables. For instance, while it’s still a bit early to tell exactly what metrics will be employed in this current round of the REF. This is a big problem to start with – we’ve all already been playing a game whose rules still haven’t been formulated two years into the match… But what’s worse is that there’s a good chance that the rules will be skewed to favor varieties of research that humanities academics simply don’t produce. I won’t go into the details here – I swim in this stuff all day and night, and simply can’t go through it again. If you’re really interested check out Stefan Collini’s excellent piece in a recent TLS, describes the problematic situation for the humanities very vividly. At any rate, to an American, or at least this American, Capitalist Realism is as much a book about the adaptation of the UK’s lingering socialist structures – public education facilities, public health care provisioners, public broadcasters – not so much to capitalism per se, but to the simulation of capitalism that defines New Labour’s approach to public services. Since Americans barely have any of these structures even to worry about – little public health care, public education is mostly administered on the local or state level, PBS and NPR aren’t large enough to matter in the way that the BBC does – there’s only been a small amount of pseudo-market gaming. (Bush’s No Child Left Behind Act was a step in the direction of “standards-based education reform” on a federal level). And while some of the structures that Mark describes can be found in the private sphere, the self-assessment and self-monitoring that he focuses on really are, to my mind, most prevalent in the British public sphere, a framework of holdover socialist public organization constantly being tampered with by a state whose priorities lies elsewhere. And this fact has important ramifications for the assessment of the overall argument of Capital Realism. 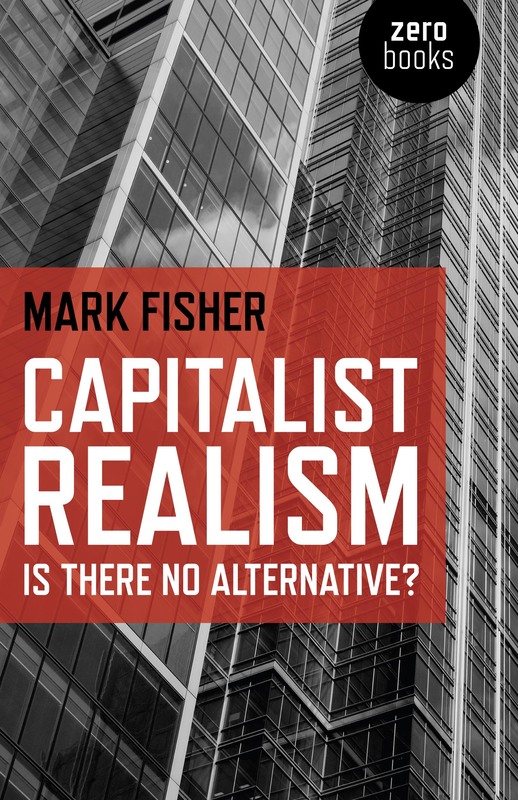 On the final pages of the book, when Mark addresses the question “What is to be done?,” one of his primary suggestions is that the left focus on the reduction of bureaucracy – a suggestion that certainly seems to correspond with the evidence and analysis that he provides throughout. Still, and given what I’ve said above, it is a suggestion that is not without a significant amount of danger. For while we would all like to do less of this maddening bureaucratic work, and while much of this bureaucratic work is aimed ultimately at the cynical reduction of public service in the name of efficiency, there are more pernicious (and more likely) paths to the reduction of bureaucracy than leftist agitation and refunding. I know I’ve focused disproportionately on education in this post, but just one more time: I’m sure, for instance, that the for-profit University of Phoenix in the USA would love to give the Tories a hand at straightening out the UK further and higher education systems and their reams of paperwork once they get in office… Or, as will likely be the case, the Conservative government (or pre-emptive Labour) can allow universities to set their own student fees, which will let “students decide” with their increasingly empty wallets and increasingly large student loans how the funds are apportioned rather than a board of bureaucrats monitoring the self-monitoring of the academics.